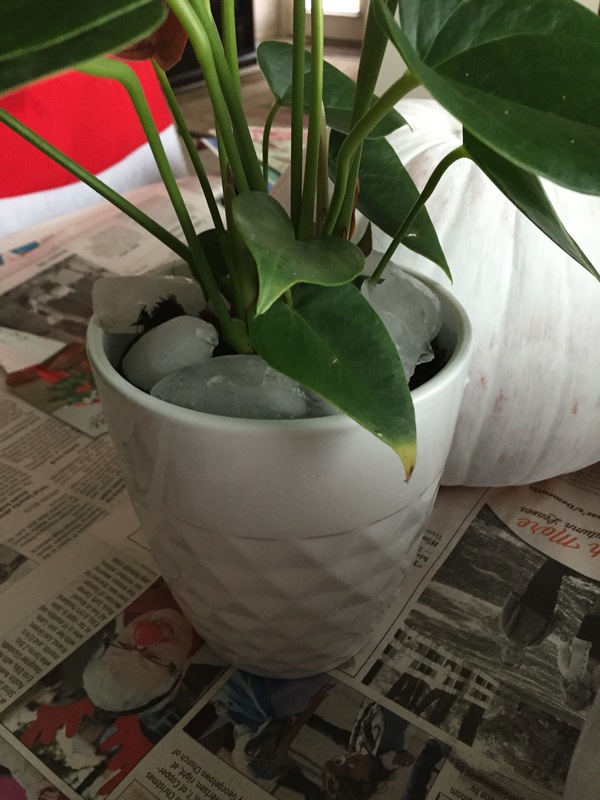 Have you ever watered a plant with ice cubes — on purpose? 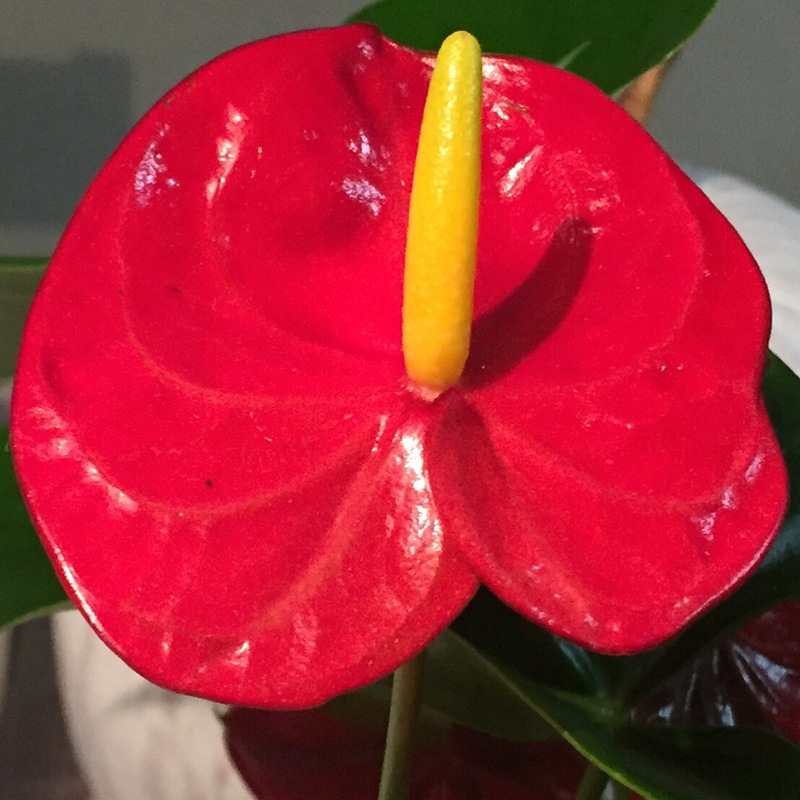 I haven’t until this weekend, when I watered my newest addition, an anthurium. It’s a beautiful, inexpensive plant that’s perfect for Christmas. I love the red and yellow flowers that pop out of the bold green leaves. And when I bought it, I peeked at the instruction card that came with it, but I didn’t really look at it til it was time to water it. 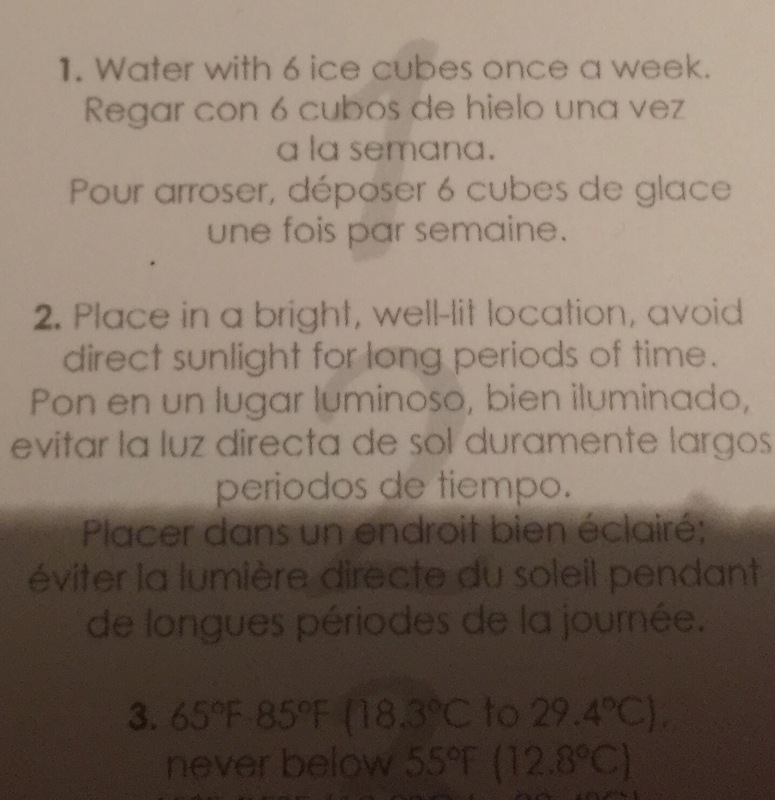 Sure enough, it says to water with 6 ice cubes a week. Combined with keeping it in a well-lit location (just not a lot of direct sunlight), it seems like a relatively easy plant to take care of. I can’t wait to see how long the flowers last. I hope it’s awhile because the bright colors will be nice in the middle of winter. 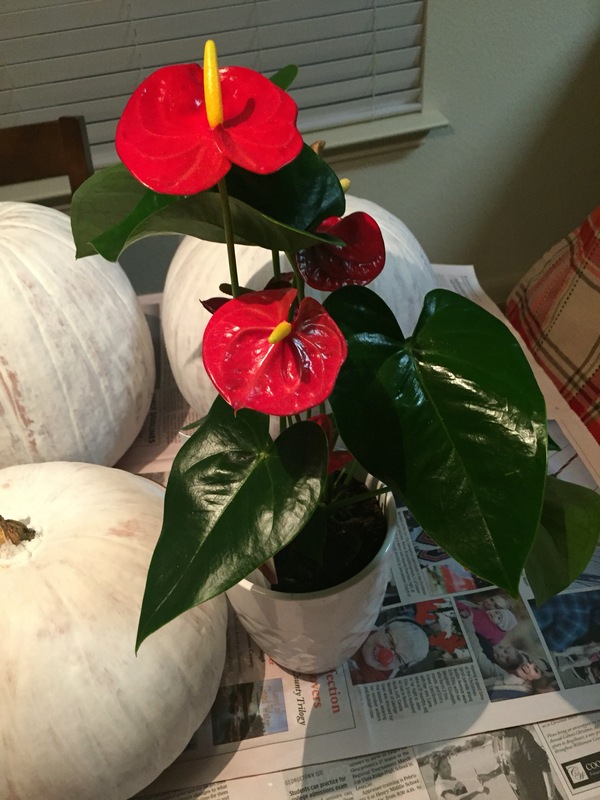 This entry was posted in Gardening and tagged anthuriums, plants on December 21, 2015 by Julie Riebe. Ice cube watering is a great trick. You really can’t over or under water with this method and soil stays just moist without being too wet. Beautiful plant!